Spontaneous coronary artery dissection is a rare, but potentially fatal, condition that warrants urgent care. Because SCAD symptoms are like those of other types of heart attacks, you won’t know what is causing them until you see a doctor. While most heart conditions are of higher risk to older adults, a rare but especially sudden and severe heart problem is one that affects those in their 40s and 50s and even younger. It’s called spontaneous coronary artery dissection (SCAD), and it can cause a heart attack. This injury to a blood vessel in the heart can even be life-threatening if you don’t respond to SCAD symptoms immediately and seek medical attention. The arteries that supply blood to your heart muscle are called coronary arteries. SCAD develops when a tear forms in an inner layer of one or more coronary arteries. Blood becomes trapped in between the layers of the artery wall. This can quickly lead to a blood clot (hematoma) forming near the tear, and a sudden decrease in blood flow to the heart muscle. When blood flows slows significantly or stops altogether, the result is a heart attack. SCAD differs from the traditional cause of heart attacks, which is usually related to plaque build-up in the walls of your arteries. Plaque, made up of cholesterol, fats, and other substances, can form in your coronary arteries—as well as arteries throughout your body. When a section of plaque ruptures, red blood cells rush to the site to contain the release of the junk that was inside the plaque. 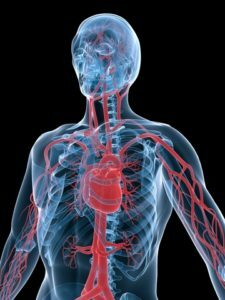 If the resulting blood clot is large enough, blood flow stops and your heart becomes starved of oxygen-rich blood. “Because SCAD is becoming more widely recognized as an important cause of heart attack, there needs to be some guidance on how to diagnose, treat and manage this disease,” said Esther Kim, MD, an associate professor of medicine and Vanderbilt University Medical Center. “SCAD acts differently from heart attack caused by atherosclerotic coronary artery disease.” Dr. Kim was a co-author of a 2018 scientific statement on the diagnosis and treatment of SCAD. The statement was drafted to raise awareness of this condition and note that stents and blood-thinning medications—the tools used to treat plaque-based heart attacks—may not always be effective in responding to SCAD. An abnormally rapid heartbeat or a fluttering sensation in your chest. If you have sudden chest pain or you suspect you’re having a heart attack, call 911 or have someone close to you call 911. At the very least, have someone drive you to an emergency room. Most heart attack victims have risk factors, such as high cholesterol, high blood pressure, diabetes, smoking, obesity and other unhealthy traits. But SCAD tends to strike people who are otherwise healthy. Women, in particular, at a higher risk for SCAD. Frighteningly, SCAD can strike women who recently gave birth. Certain blood vessel problems also are associated with SCAD. One of the most common disorders is fibromuscular dysplasia, which causes abnormal cells growth in artery walls. This irregularity can then raise your risk of dissections or aneurysms, which are balloon-like bulges that form in your artery walls. Other conditions that affect blood vessel health, including inflammatory disorders such as lupus, may also raise your risk of SCAD. Uncontrolled high blood pressure can contribute to weaker blood vessel walls and a higher SCAD risk, too. Extreme physical activity, such as an intense aerobic workout, may raise your risk of SCAD. But because some SCAD symptoms, such as shortness of breath and an accelerated heart rate, are also associated with intense exercise, you may be inclined to wait it out. Pay attention to your body’s signals. You know what it feels like to be winded and have your heart rate up after a workout. If this feels different and you don’t start to recover, treat those SCAD symptoms like an emergency. Unfortunately, if you have had SCAD in the past, your odds of a similar event down the road are higher than someone who has never experienced SCAD. If SCAD is part of your medical history, it’s even more important to respond immediately to SCAD symptoms. If your SCAD symptoms prompt an emergency room visit, you will like likely undergo several tests to identify the problem. A coronary angiogram is one of the most common tests for someone suspected of having a heart attack—regardless of its cause. In this test, a special dye is injected into an artery. Special imaging equipment can follow the path of the dye in your bloodstream and into your heart. If it appears that blood is leaking through a tear in a coronary artery, your doctor may be able to confirm SCAD immediately. Another test, which is sometimes done during an angiogram, is an intravascular ultrasound. In some cases, a balloon or stent in the affected artery is enough to get blood flow back to normal. A torn coronary artery can often heal on its own, so in some cases no additional treatment is necessary. If blood flow has not been blocked, but you are experiencing chest pain because of reduced blood flow, your doctor may prescribe medications to control your symptoms until the artery wall is healed. However, if natural healing isn’t possible, or there are multiple tears or a stent is not an option, bypass surgery may be necessary. In this procedure, a cardiac surgeon takes a portion of a blood vessel from another part of the body and attaches to the artery experiencing blockage. This addition creates a bypass a new route for blood flow around the blocked section of the coronary artery. Medications for people with SCAD include blood thinners to reduce the risk of clotting, and drugs to help lower blood pressure. 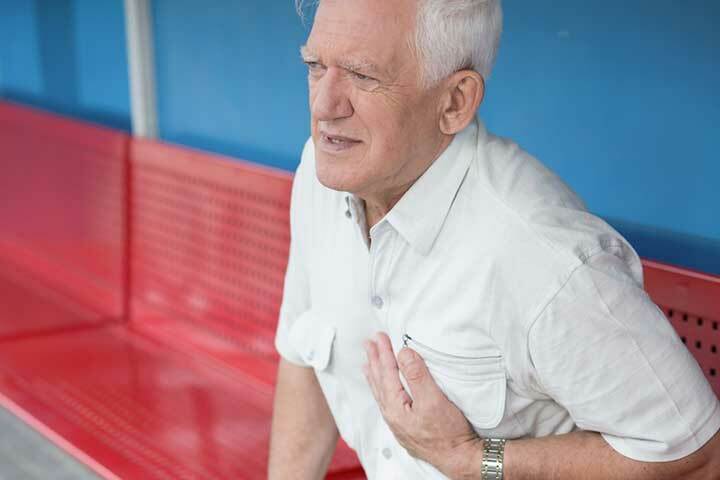 You may also be prescribed nitrates or calcium channel blockers to help control chest pain. Once you have been treated and are taking your prescribed medications, you may benefit greatly from cardiac rehabilitation. It’s a program that includes supervised exercise and education about living a heart-healthy lifestyle. Your doctor may, in the days and weeks after the SCAD is under control, look for signs of other blood vessel problems elsewhere in the body. You will also need to attend regular follow-up appointments with your doctor to monitor any changes in your condition. And as you move ahead, be sure you know how to recognize SCAD symptoms and how to respond. Just as a second heart attack doesn’t necessarily present with the same signs as a first heart attack, SCAD symptoms the second time around may be much different than your first experience. a heart attack, artery disease, blood clot, blood pressure, blood thinners, calcium, calcium channel blockers, cardiac rehabilitation, chest pain, cholesterol, cholesterol high, coronary, coronary arteries, coronary artery disease, diabetes, dizziness, exercise, extreme tiredness, having a heart attack, health, healthy lifestyle, healthy women, heart attack, heart attack symptoms, heart attack symptoms in women, heart attacks, heart conditions, heart healthy, heart muscle, heart problem, help lower blood pressure, high blood pressure, high cholesterol, intravascular ultrasound, lower blood pressure, lupus, mild heart attack, mild heart attack symptoms, muscle, natural healing, nitrates, obesity, pain, physical activity, shortness of breath, smoking, tiredness.